The manifold distinguishes in India have not left even the school boards untouched. The students have options ranging from state boards to CBSE and ICSE. CBSE forms one of the most widely accept board with a fully equipped syllabus. By providing online learning solutions and TV programs enhancing students learning, it has climbed another ladder. Carrying traces of its origin from the UP board of higher education, it has grown to having more than nine thousand affiliated schools. CBSE is a recognized board by the Government of India. The syllabus of CBSE is set with an idea of providing objective knowledge which is tested in the competitive examinations. 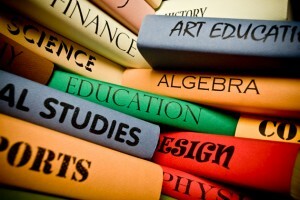 CBSE has a student oriented syllabus that is developed understanding the needs and requirements of an individual child. CBSE with the introduction of its new concept of Grading System has really helped the children who are not able to get qualifying marks in the Board Examination. It has an easier syllabus with English, social studies and science as the core subjects. Its syllabus is based on faster learning and objective knowledge. Major exams like NEET and IIT-JEE are based on the CBSE syllabus and thus the syllabus is exam friendly. The students do not need to take any special preparation. The objective nature of the syllabus helps CBSE students in the competitive examination. It has been noticed that students of CBSE schools usually do better in the competitive examinations. The CBSE syllabus is more scientific and focused in its approach. The whole syllabus of CBSE is divided into shorter units. The CBSE curriculum includes physical extracurricular activities like indoor and outdoor games and sports that have a wide network both in the state level and in the national level.